The President of the Trade Union Congress, Bobboi Kaigama, told our correspondent on Saturday that the organised labour is demanding N56,000. He stated that the labour unions were awaiting the executive arm of government to set up a committee to speed up the process. “The procedure is for the tripartite body to sit down and agree on a figure, present it to the National Executive Council, National Council of State and to the National Assembly,” he said. 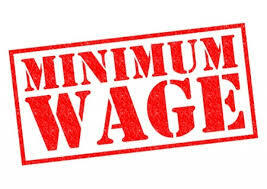 The Nigerian Labour Congress on its part, commended the recommendation of the House of Representatives but said that the process to determine an approved minimum wage has started with a tripartite engagement involving the labour, the private sector and the government. The General Secretary of the NLC, Peter Ezon, stated this in an interview with our correspondent on Saturday. He said the tripartite arrangement would recommend the minimum wage to the government and in turn take it to the National Assembly for legislation. “We welcome the concerns of the House of Representatives members and we also beg them to put more pressure on government to institute the process of the tripartite committee so that it can be concluded and returned to the National Assembly,” Ezon said. The NLC scribe said some state governors were struggling to pay the N18,000 minimum wage because they failed to set their priorities right. He accused the Federal Government of delaying the process of sending the approved new minimum wage to the National Assembly. He warned that the labour movement was losing patience with the government and might be forced to act appropriately to achieve its demands. As of the time of filing this report, President of the Trade Union Congress, Bobboi Kaigama, was yet to respond to a request for his union’s reaction. The PUNCH had reported on Thursday that members of the House of Representatives warned that a nationwide strike by workers over low wages could force the country’s economy back into recession. The lawmakers therefore urged the Federal Government to increase the current minimum wage to N30,000 to avert workers’ strike.